And although we know next to nothing about their upcoming wedding (these two love keeping things hush-hush), it looks like our fave couple is getting married real soon—all thanks to Erwan's brother-in-law Nico Bolzico! 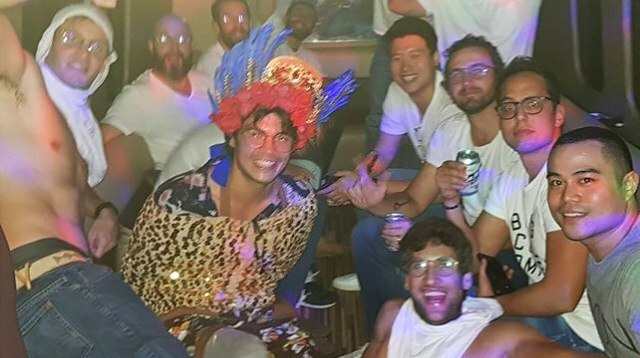 On August 10, Nico posted a groufie of Erwan's bachelor party in a totally lit party bus. Writing in the caption, he said, "Erwan bachelor party happening tonight! Not much to comment! #nohashtagstagforthis." 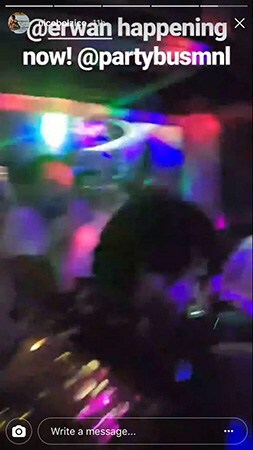 Here's also a screenshot of Erwan being dressed up in costume by his closest guy friends in Nico's IG Stories. LOL!